Feed the Future monitors its performance in part by periodic assessments of a number of standardized indicators. These indicators reflect data collected through population-based surveys (PBS) in the geographic areas targeted by Feed the Future interventions, known as the Feed the Future Zones of Influence (ZOI). The northern Kenya ZOI is comprised of five counties: Marsabit, Garissa, Isiolo, Wajir, and Turkana. Of these, only three counties (Marsabit, Isiolo, and Turkana) were included in the baseline survey. Garissa and Wajir were inaccessible during the baseline because of security issues. Feed the Future REGAL-IR programming covers all five counties of the ZOI, while REGAL-AG covers Marsabit and Isiolo. Differences in the values of indicators can be compared by the intensity of the program (REGAL-IR only versus REGAL-IR plus REGAL-AG) in the REGAL IE report. Kimetrica, Westat's subcontractor in northern Kenya, interviewed eligible respondents in a total of 1,837 households in nine counties (Garissa, Isiolo, Marsabit, Turkana, Wajir, Baringo, Mandera, Samburu, and Tana River). Data collection took place from 14 May to 13 June 2015. The sample is large enough to measure differences among intensity levels of REGAL and humanitarian assistance (HA) programming for the IE, as well as provide point estimates for Feed the Future indicators at the ZOI level. This interim assessment uses data from 1,193 households in the five counties of the ZOI (Garissa, Isiolo, Marsabit, Turkana, and Wajir). The report of the survey including the complete questionnaire can be found in the reference PA00MNZB.pdf. 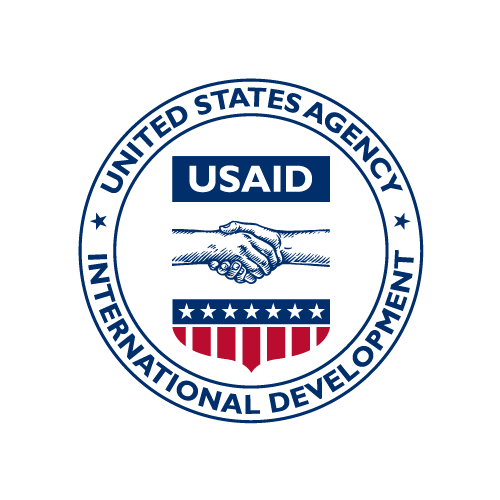 Versions of the dataset in SAS, SPSS and STATA are available on request by sending an email to opendata@usaid.gov. The objective of the Malawi Feed the Future program is to sustainably reduce poverty and hunger and to improve the nutrition of women and children. To meet these objectives, Feed the Future Malawi has worked to align and promote coordination between agriculture and nutrition programming. This first interim assessment will provide the U.S. Government (USG) interagency partners, USAID Bureau for Food Security (BFS), USAID Missions, host country governments, and development partners with information about short-term progress of the ZOI indicators. The objective of the Rwanda Feed the Future program is to sustainably reduce poverty and hunger by improving nutritional status of women and children and through inclusive agriculture sector growth. To reduce hunger and poverty in Rwanda, Feed the Future is tackling major constraints to agricultural investment. This includes core investments committed to building market linkages, increasing agricultural productivity, and improving infrastructure and nutrition. The assessment is designed for use as a monitoring tool, and as such provides point estimates of the indicators with an acceptable level of statistical precision. The objective of the Nepal Feed the Future program is to maximize the number of Nepalis lifted out of poverty and increase the number of children and women with improved nutritional status. This first interimassessment will provide the U.S. Government (USG) interagency partners, USAID BFS, USAID Missions, host country governments, and development partners with information about short-term progress on the ZOI indicators. The assessment is designed for use as a monitoring tool, and as such provides point estimates of the indicators with an acceptable level of statistical precision. Feed the Future Rwanda Interim Survey in the Zone of Influence: This dataset is a household-level file with records for each sampled household with a completed interview (n=1,066, variables=89). The file contains one record per household including data from Modules A, D, and F.
Feed the Future Nepal Interim Survey in the Zone of Influence: This dataset contains records for all children under 3 years of age (0-35 months) (n=229, vars=49). This file includes data in Module I for children's consumption of the Nepal-specific nutrient rich value chain commodities (NRVCC).